By Carrier is a leader in the new construction industry that stands for old fashioned values, a hard-work ethic, and quality craftsmanship. For nearly forty years their name and reputation have been trusted by thousands of satisfied homeowners! The Carrier family story begins with Emile and Blanche Carrier of Quebec, Canada. While running a working farm, they raised their 12 sons and one daughter to have integrity, work hard and always value family. Their children took these deep-rooted morals with them in their life’s pursuits. 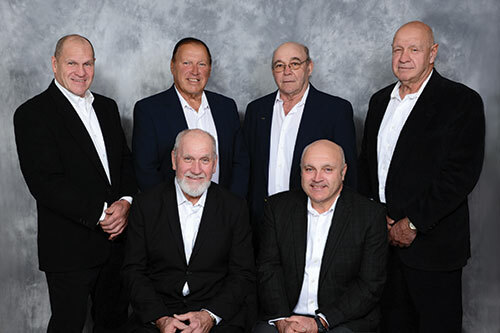 In the mid 1960s, six of the Carrier brothers moved to Connecticut in pursuit of opportunity. They began working in various aspects of the housing industry and ultimately progressed to complete home building and land development. In the process they formed By Carrier, which unites them in their dedication to create communities and build homes for which they are proud of the unsurpassed quality. By Carrier, which is now joined by an actively involved second generation, uses top quality and cutting-edge products to ensure the buyer is getting the highest standard of excellence possible. Custom home designs and energy efficiency is just the beginning. By Carrier is dedicated to excellence and customer satisfaction, backed by an industry-leading five year warranty. The second generation is continually striving to expand the knowledge base within the family through higher education, advanced licenses, association memberships and certifications. Among them are a licensed professional engineer, a real estate broker, a landscape design specialist, a certified green professional, board of director member for Mid-State Association of Realtors and the Hartford HBA 2nd Vice President. By Carrier will continue in its pursuit to build the finest possible home and ensure an excellent home buying experience for years to come.